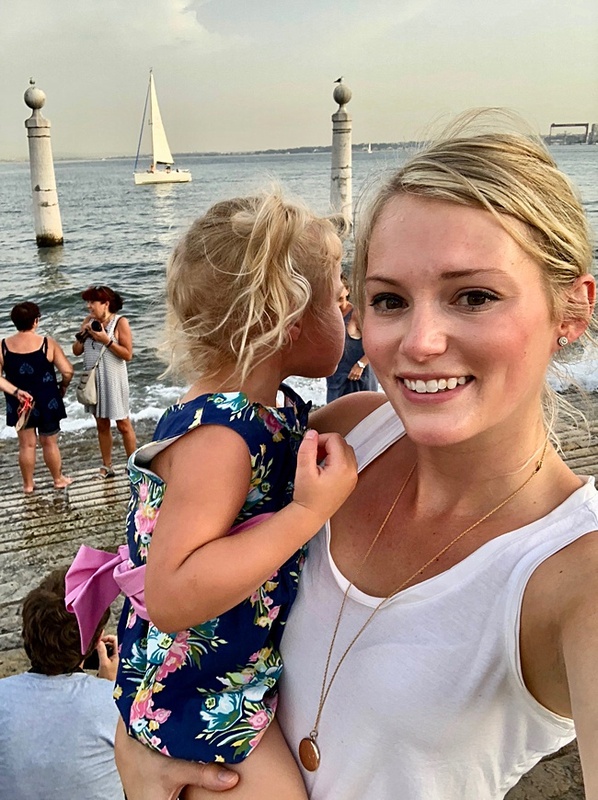 Betsy was excited to have one of her favorite family jewelry pieces deep cleaned and updated for a burst of new life. Betsy’s locket was passed down to her recently by her mother from that side of her family. The locket first belonged to her great grandmother Mildred. 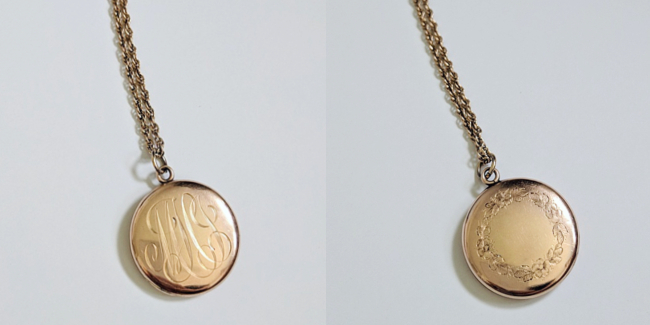 On the outside, the gold heirloom locket has Grandma Mildred’s maiden monogram engraved in a beautiful script: MHJ (for Mildred Hadley Jones). 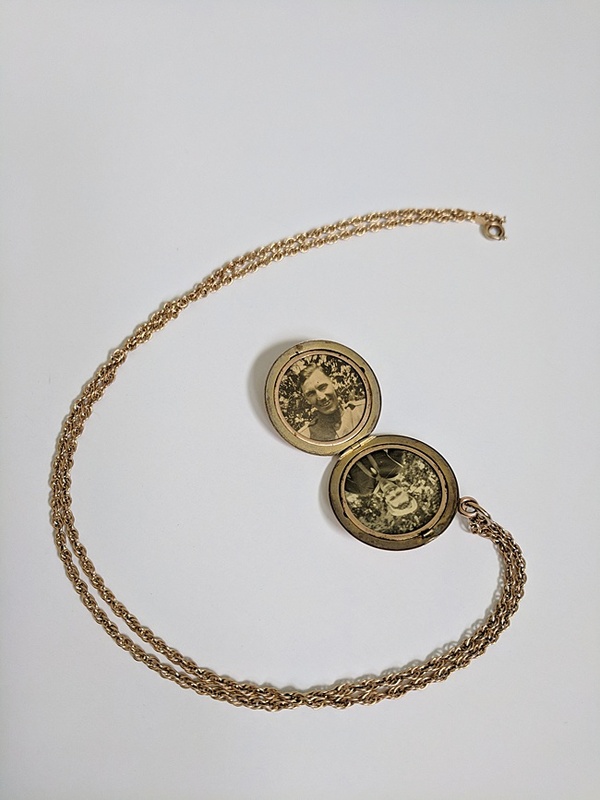 This heirloom locket spares no detail! The reverse side carries a lovely and intricate floral engraving. But, like all good things, it’s what’s inside this heirloom locket that matters most. Open it up and you’ll find two old photographs. And the sepia tones give us all the nostalgic feels! One photo is of Grandma Mildred’s husband, Betsy’s great grandfather Edward Tucker. While he is pictured in his WWI Army uniform, I was excited to learn that he was also a fellow artist! After his military service, he and Mildred moved to Washington DC where he worked as an illustrator for the Department of Agriculture. He also did some freelance commercial poster art on the side. The second photo is of Betsy’s grandfather, Kenneth Tucker in his WWII Coast Guard uniform. Grandpa Tuck lived with Betsy and her family from the time she was ten years old until he passed away 13 years later. Originally, the locket was on a shorter, thicker chain. It fit the piece well, but Betsy wanted something a little updated. Her vision was a longer chain so that the locket would hit right below the ribcage. And, we decided a more delicate gold filled rope chain would enhance the look. 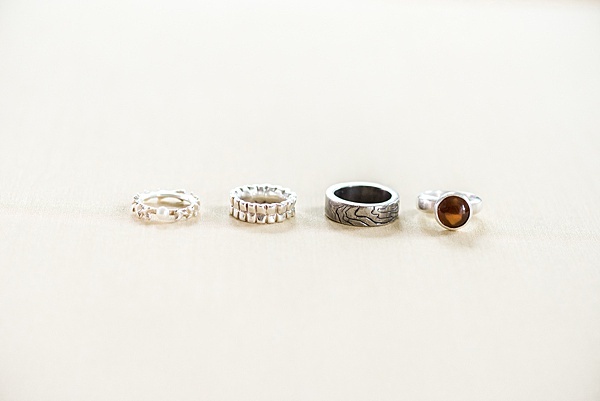 so they can each have a piece of this heirloom to hold on to. 20 on the Rise: Alison Jefferies Wins Designer Award! Alison Jefferies was recently named a top designer by 20 On the Rise, a curated list of 100 creative entrepreneurs to watch! 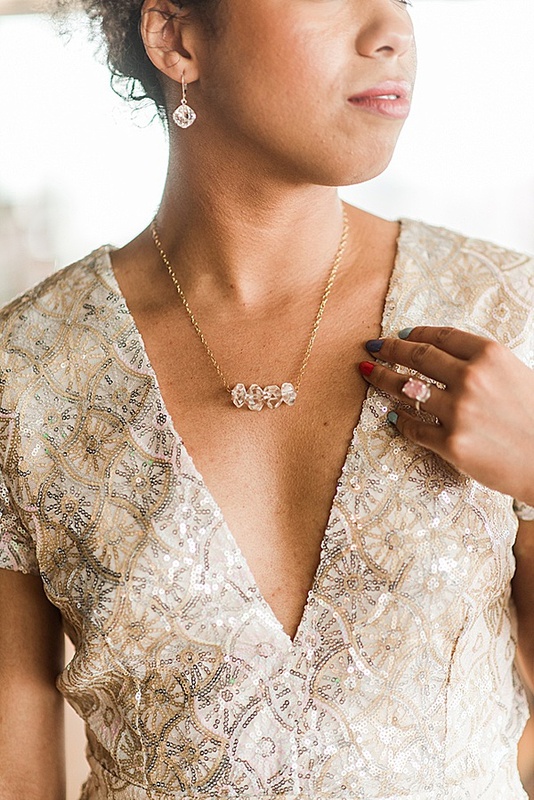 We are so proud to share that our CEO and custom jeweler Alison Jefferies won a spot on the list of Designers in this list of rising stars! So, what is 20 on the Rise? 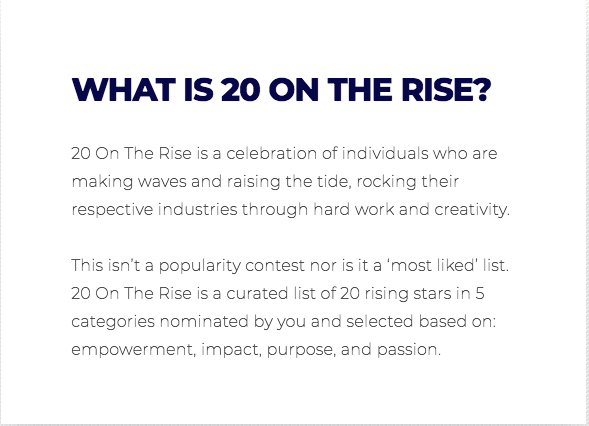 20 on the Rise is a list of creative entrepreneurs to watch, curated by The Rising Tide Society, Gusto, Peerspace, and HoneyBook. Contestants were nominated anonymously by their peers. The winners were selected based on: empowerment, impact, purpose, and passion. 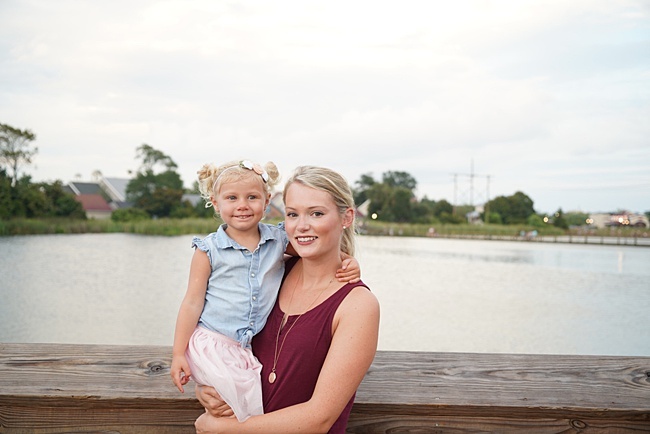 Here is an excerpt from Alison’s 20 on the Rise profile. It explains the heart behind what she does through her work as the owner of J’Adorn Designs and in the community. 20 On the Rise: What are you best known for? 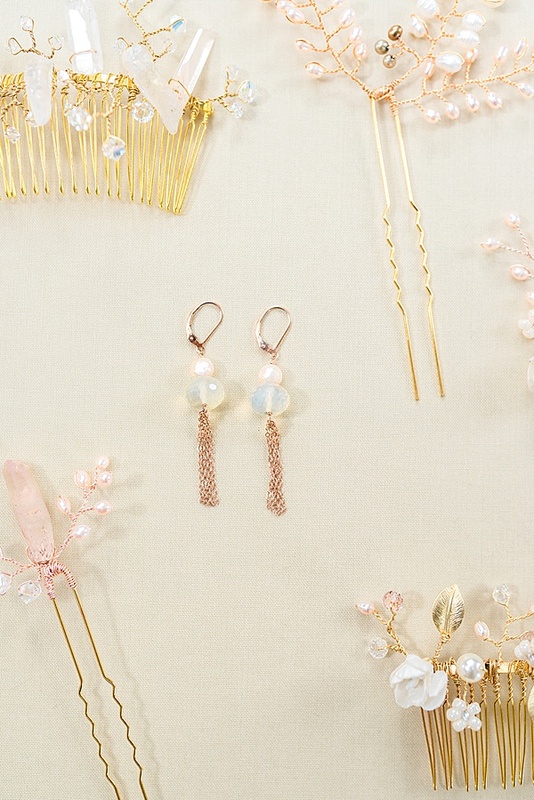 Alison: My custom accessory clients know me best for my warm and intuitive customer service and excellent craftsmanship of their commissioned projects. 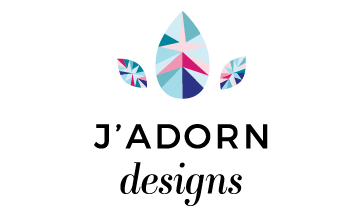 My potential clients who have come across J’Adorn Designs online know me for bridal accessories and upscale custom designs for both weddings and major life events. The designs I make are known for their combination of elegance, simplicity, botanical elements, comfortability, and quality craftsmanship. My TuesdaysTogether community knows me for my empathy and desire to make our resources available to everyone in the group. They know me for my genuine interest in how each of them is doing, and for my willingness to share my own expertise with them. Friends and family know me for my empathetic and sensitive nature, my passion for women’s rights and equality, my quirky sense of humor, my love of world languages and cultures. (I’m fluent in German!) [They also know me] for my undying love/obsession with bunnies. My hope is that everyone who knows me will know me as a trustworthy and caring person with a love for life and desire to share that love with them in tangible and intangible ways. I hope that the world knows me as an ally who looks for opportunities to serve them and make their lives better.